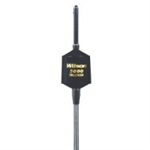 Diecast aluminum high power handling heavy duty antenna switcher! Do you have multiple radios working off 1 antenna? If so then this is the switch you need without having to unscrew coax every time!! 1 Antenna in and 2 Radio out or 2 Antenna in and 1 Radio out!! Can easily handle 1000 watts and then some!! 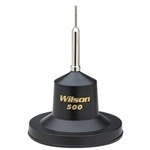 Wilson 5000 Magnet Mount Base Only Replacement. Works with 1000 and 5000 top load. 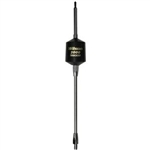 Diecast aluminum high power handling heavy duty 3 way antenna switcher! Do you have multiple radios working off 1 antenna? If so then this is the switch you need without having to unscrew coax every time!! Virtually identical to MFJ Antenna Switcher! 1 Antenna in and 3 Radio out or 3 Antenna in and 1 Radio out!! Can easily handle 1500 watts and then some!! Brand new TRIPLE MAGNET MOUNT with three 5" magnets, 17ft coax cable and durable strong construction! This magnet mount is capable of holding up some serious antennas! 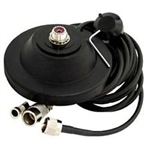 This Triple 5" Magnet CB Antenna Mount is sturdy and attractive with a black kote steel magnet housing. 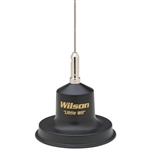 It comes with a 17-ft RG-58A/U coaxial cable, UHF male PL-259 and standard 0.375" x 24 thread CB mounting.WHAT A GREAT CB ANTENNA MOUNT!! Three 6' sections just screw together for easy assembly. Two U bolts included, that attach antenna to the mast. Mount and antenna mast not included.